Property Leasing and Management - Plaza Associates, Inc. Focused on the development and management of retail and mixed-use properties, Plaza Associates, Inc. leases and manages over 2.5 million square feet of commercial properties including major shopping centers, retail strip centers, office buildings and warehouse facilities. Our retail space offerings range from strip shopping centers throughout Central and Eastern North Carolina to one of the most well-established, highly trafficked upscale malls in the Southeast. We have Class A office space in both Durham and Raleigh to fit a variety of businesses, focusing on professional services. Our Warehouse space in Raleigh is in a highly desirable location. Please contact us for availability. In addition to its leasing and management operations, Plaza Associates, Inc. develops and operates commercial business such as Crabtree Valley Mall, Kanki Japanese House of Steaks and Sushi, Maida Vale luxury residential community, Trilake Granite and Stone, and various other international business ventures. TriLake Granite and Stone is a locally owned company that specializes in the fabrication and installation of high quality granite, marble, quartz and other natural products for the project of your dreams. The success of Plaza Associates is based on very simple developmental principles: Provide comprehensive service and management, know your market and anticipate the future. 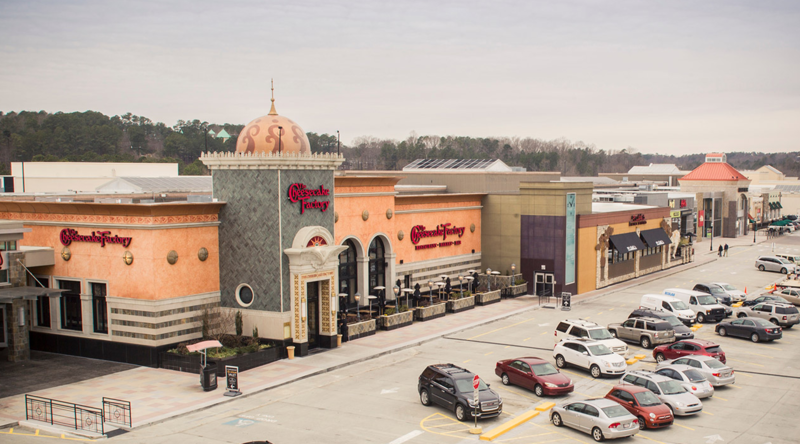 Crabtree Valley Mall offers retailers one of the premier shopping destinations in the Southeast and is easily accessible from anywhere in eastern North Carolina, near I-40, I-440 Beltline, I-540 and US 70. The center serves a large geographic area encompassing more than ten counties and is within minutes of state government offices, professional sporting arenas, universities and colleges.